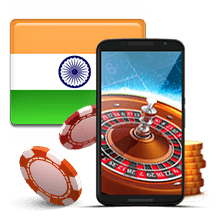 On this site, you will find all the information you may need about gambling in India. Indian laws impose heavy restrictions on gambling. Gambling on horse racing and certain lotteries is allowed. Indian critics on gambling claim that it has effect such as an increase in social crimes, loss of income and addiction. Proponents, however, feel that since many Indians are involved in illegal gambling, regulating it would keep them from being exploited. They feel that revenue would be a good source of revenue for the Indian government. In 2013, Goa casinos contributed Rs.135 crores to the state revenue. The legality or illegality of gambling in India is determined by the states. Every state has its own gambling laws. The Public Gambling Act of 1867 illegalizes running a public gaming house or being in control of one. It is a central law and anyone who breaks it could be imprisoned for up to three months. They could also be made to pay a fine. Online gambling is not so common in India. The online gambling market is still very young. Cyber activities in India are under the regulation of the Information Technology Act 2000. The act prohibits the publication or transmission of gambling and other activities that could corrupt people. The legal repercussions for online gambling are harsher than for traditional gambling. It is illegal to fund to fund online gambling sites using the Indian currency. There are, however, a few loopholes that Indians use to participate in online gambling. Goa, Sikkim and Daman are the only Indian states that have legalized casinos. Goa became the first state in India to legalize casino gaming in 1999. In Goa, casinos can only be set up at five-star hotels. They can also get permission from the government to operate on offshore vessels. It currently has four floating casinos and six of them on land. The floating casinos are; Casino Pride, Casino Pride 2, Casino Deltin Royale, and Casino Deltin Jaqk. They are operated on the Mandovi River. The casinos pay a tax of ten percent. Sikkim has two casinos, Casino Mahjong and casino Sikkim. Daman has the biggest casino in India, Deltin Daman Casino where they even offer teen patti information 2019. Even though the gambling regulations in India are very harsh, many people indulge in illegal gambling activities all across the country. The gambling market of India is worth about US $60 billion. About half of that is from illegal betting. That has pushed many people to believe that legalizing gambling would be a smart decision. It is feared that funds acquired from illegal gambling could be used in illegal activities such as terrorism and drugs. Many Indian professions feel that the government should legalize gambling so that it can regulate it. Most Indians bet a lot during festivals such as Holi and other special events. The future of gambling in India is not clear yet. Whether the government chooses to legalize gambling or continue the ban, there are advantages and disadvantages to be expected both economically and socially. Legalizing it could help boost tourism, increase revenue to the government, increase employment opportunities, and promote the development of infrastructure. However, it could also lead to an increase in social crimes and addiction.